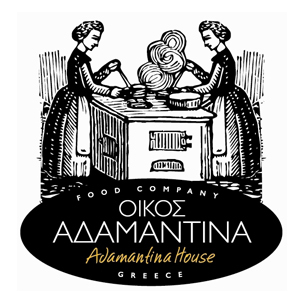 The company OIKOS ADAMANTINA was created in 2007 by two friends in Labro Polymenakos & Christo Pardali also with their wives Adamantia Maniatakis and Konstantina Panariti and their aim is to contribute to the use of foods with proven nutritional value recipes and using raw materials from our land. We felt the need to give value in these recipes and raw materials by creating foods that will respect the consumer and will honor the feedstock. ADAMANTIA & DINA <Adames-DINA> giving an identity to the fantastic grandmother, everyone’s grandmother bequeathed to us recipes and values. To ensure the TRADITIONAL we did not face any difficulties at all because like all around our district as in our country traditional recipes and pure raw materials are in our everyday life. To ensure the “NO JUNK FOOD” we had to work with specialists in food safety with special equipment and with the appropriate expertise to monitor the production process at all stages, from the delivery of raw materials to the final result that is to have a really traditional and wholesome product.